Preheat the oven to 180ºC/gas 4. Prick the sweet potatoes with a knife and place directly onto the oven shelf. Cook for 1 hour, turning halfway through. Turn off the oven but leave the potatoes in there for 30 minutes. Remove, set aside to cool, then peel off the skin and mash the flesh. Pick and finely chop the coriander leaves, trim and finely chop the spring onions. Heat the oven again to 180ºC/gas 4. Run a sharp knife down the sides of the corn cob to remove the kernels, then break them up. Drain the sardines and place in a large bowl with the sweet potato mash, corn kernels, coriander and spring onions. Season well, add the juice and zest of 1 lime, then mix well to combine. Divide the mixture into eight and shape into rounds, flattening each one into a fish cake. Roll them in the polenta, place on a lined tray and pop in the fridge for at least 30 minutes. Place a large, ovenproof frying pan over a medium heat, add a little oil and fry the fish cakes until golden, about 2 to 3 minutes each side (you might need to do this in batches). Return to the oven for 10 minutes. In a bowl, mix the zest and juice of ½ a lime with the chilli sauce and yoghurt. Season and scatter over some coriander. 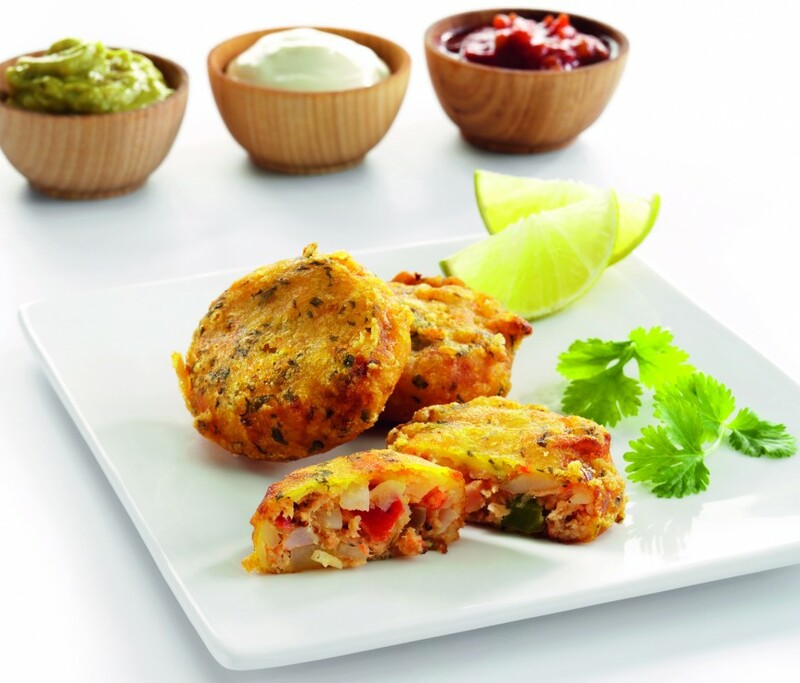 Serve with the fish cakes, a crisp salad and the remaining lime cut into wedges.